In November 2017, the Club held a webinar on Managing in a Crisis. 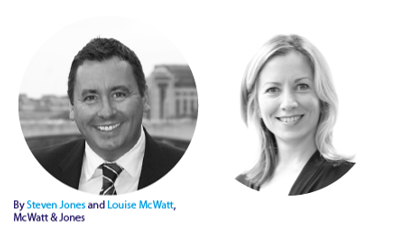 The webinar, held in partnership with Steven Jones and Louise McWatt of McWatt and Jones, covered key crisis management aspects such as how to react to an emergency, respond to a crisis and deal with affected stakeholders. This article, prepared by McWatt & Jones, revists this important topic to provide further guidance for Members in times of crisis. As global events in the news clearly show, the old rules with regards to the press and media are changing. Social media is now shaping so much of the way in which news, views, images and video is spread. Shipping is neither immune nor invisible from this change, and businesses need to react positively and find ways of managing and responding to the challenges of protecting their reputation. With so many different responsibilities to deal with, shipping companies, owners, operators and managers often overlook or struggle to fully embrace ‘media management’ – until something goes wrong that is. Even then, the potentially sizeable financial, legal and liability complications when something goes wrong, can prompt protagonists to go into ‘lock-out’ silent mode – something which can all too often exacerbate the problem. Having to deal with the press, or even the glare of social media can be a difficult proposition. However, the problems posed by either ignoring the issue or by handling an accident or incident badly can have serious ramifications. There needs to be a plan for handling the media, and that should be developed proactively as a response to risk, not in response to an actual incident. It is not just journalists and the press which need to be managed. It is all well and good to develop strong ties with the maritime or mainstream media, but these efforts can be undone if employees negatively take to social media, or if sensitive information and criticisms of the company are posted online. In the current climate, if things go wrong the glare of the world’s media can quickly focus on the shipping industry, so it is important to know how to deal with the associated pressures. The two key elements can be summed up as ‘relationships and response’. You must ask yourself, does your company have positive relationships with those who will be affected by any news or coverage? If a company is unknown or negatively viewed, then stories will be pounced upon and it is very hard to control or drive positives. Then to the response, handling a story in the wrong way or ignoring it can make things worse, much worse. Therefore, it is important to have a plan to manage incidents before, during and after the worst happens. What do we even mean by the term ‘media management’? Unfortunately, there are no agreed definitions, no rules or regulations to fall back on or to turn to for guidance. Shipping is an industry which in most areas is heavily regulated, so it can be especially challenging to deal with a problem lacking the usual structures or constraints. Indeed that is one of the challenges of managing the media, online outlets and the press. Without ‘rules’, companies are left to develop their own solutions and best practices. Something which can seem daunting, especially as there are serious consequences for getting things wrong. It is all too likely that any incident will be followed by videos online, damning criticisms in the press, or scrutiny where it is not wanted or needed. However, this is as much about opportunity as it is managing risk. It has become ever more important to develop a philosophy, practices and processes which deliver for all parts of the business – afloat and ashore. It is not just about the negative potential fallout, there are real benefits to be found in communicating effectively and properly managing a company’s public relations. What are the key elements of media management? Get real: Perhaps the most important aspect of media management is assessing what the problems potentially are, and deciding to deal with them. There can, unfortunately be a temptation to try and ignore the importance of developing a media management process. This is a mistake. Companies need to engage with the risks posed and there needs to be a realistic assessment of how to proactively engage and to manage any areas of vulnerability. Philosophy: Just as with any other maritime issue; whether safety, the environment or security – there needs to be a top down approach to the issue of media management.This is a form of risk management, just as any other – and so there needs to be attention given to it and a company-wide approach developed. From crisis to opportunity: When anything goes wrong in the marine adventure the focus is on limiting the negative effects and liability. With the media the problems are similar – it is about not making things worse. Situations need to be managed, messages need to be carefully constructed and responses need to be professional. The key is to handle the problem in such a way as to position a company to bounce back afterwards, handling it badly helps no-one. What is the ‘media’: This is not just about newspapers and journalists, this is also about social media too and so employees, customers, competitors, legislators, regulators, pressure groups – the list of stakeholders is potentially huge, but we need to consider them and the messages they want or need, expect or desire. These are the ‘publics’ and there needs to be a positive relationship with them. Responsibility: In deciding on a need for action and a philosophy, there needs to be responsibility and accountability within the company. It is all well and good to simply outsource a problem. However, as has always been the case, there is no substitute for developing systems and solutions internally. Having someone as the designated spokesperson, who knows what to do and when, what to say and how is a key position, role and responsibility in any shipping company, and there is a vital need to have someone in place. Social media effect: There has been much made of the ‘democratisation’ effect that social media has brought. Everyone is a broadcaster or journalist now – you only need look on YouTube, Facebook and Twitter to see all manner of shipping accidents and incidents. This is the fuel to the media fire, so it needs to be managed properly and proactively. People problems: Does the company have policies and protocols in place when it comes to social media usage onboard or in the office? Does the company deal effectively with seafarers and employees, making sure they are aware of not just the rules in place, but the implications of breaking them? If the answers are no, then a rethink is urgently needed. Soft touch: Unfortunately at sea, the temptation is all too often to impose some draconian rules for communication which make seafarers feel even more isolated and cut off. This may work to an extent, but such rules are often broken – whether on purpose or by accident. It also engenders ill will between employer and crew. Therefore, a softer touch is advisable but one which explains the implications of poorly considered posts, of the legalities involved and of the fact that seafarers should be considered part of the solution, not the problem. Working in partnership with employees will ultimately bring better results. Relationships: From reporters and journalists through to seafarers, relationships are key when it comes to media management, communications and public relations. Wise, open and friendly management is far more likely to bring results than trying to clamp down on employees, or in having conflict with the media. Aside from hoping to occasionally get a press release or results published, shipping companies are often on the back foot when it comes to the media and so a collaborative, relationship-driven approach is the answer. It takes time and effort, but will ultimately reap rewards. Don’t panic: Preparation and realism are the key elements of media management. Having a plan and knowing how to shape a message and narrative are important considerations which need to be made long before something bad happens. It is of course easy to say “don’t panic” – but harder in practice. The more a company has prepared the easier it is to deal with the fallout. Whether that is dealing with hard questions, managing press enquiries or dealing with online criticism. Do not wait for an incident, prepare and plan in advance. The time during a crisis, with all the attendant stresses and strains is not the time to be developing a plan. Avoid panic by proactively planning and practising. Seafarers and executives ashore don’t need to be media experts to grasp the fundamentals – knowing when to speak or to direct questions elsewhere, of the benefits of considered responses, and of the importance of maintaining a unified company line and approach. The right measures can be introduced and applied fairly easily, by being sensible, aware and thinking about what can go wrong. Positive media management can help when the worst happens but can also bring real benefits for a business when things are going well.